Creating an account or logging in via facebook/email will let you save your application, and allow you to access your pets medical records and other important information after you adopt or foster. Forgot your password?Didn't receive confirmation instructions? 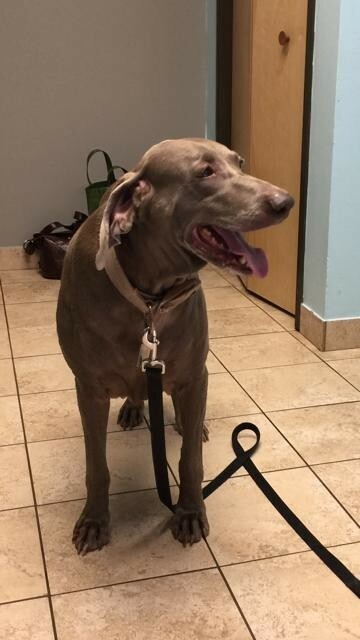 WEIMARANER RESCUE of North Texas, Inc. is an all-volunteer 501-C-3, non-profit, charitable organization. Since 1989, our small group of volunteers has saved over 1,600 Weimaraners from suffering and death. We exist solely on donations and fund raising efforts. Every penny of our proceeds pay for veterinary care, food, boarding and essential expenses. WRNT began as the Rescue Committee of the Lone Star Weimaraner Club, Inc. (formerly North Texas Weimaraner Club). In 1997 WRNT incorporated and was granted 501-C-3 status by the I.R.S., enabling tax deductible donations to our rescue fund. OUR MISSION is the rescue, rehabilitation and placement of Weimaraners from animal shelters, found stray, abandoned, neglected and abused. We educate the public on responsible pet ownership, and promote spay/neuter. We are dedicated to end the tragedy of pet over-population by opposing puppy mills, pet stores selling live animals, and irresponsible over-breeding of companion animals. This organization has not yet set up a bank account and cannot receive donations online. Please contact them directly to donate.